A travelling exhibition found landing places across several campuses at Salt Lake Community College. 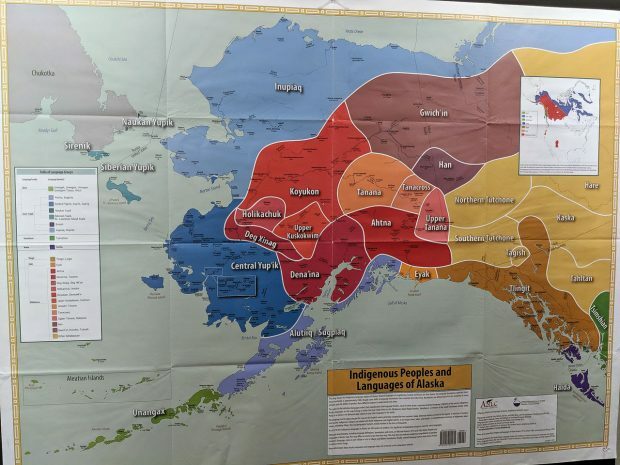 “Native Voices: Native Peoples’ Concepts of Health and Illness” features interviews with Native Americans, Native Alaskans and Pacific Islanders. 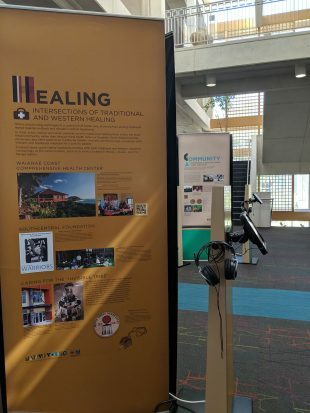 “[It] looks to give students a venue where they can reflect on the relationship between health and community, and hopefully apply it to their own lives,” says Jen Hughes, SLCC’s archives and new media librarian. The exhibition includes 423 interviews with spiritual leaders, native folk and community organizers in short segments running no more than two minutes each. It looks to explore how native people treat health and illness. The exhibit also looks to dive into the shock their culture receives when western medicine and their traditional practices collide. With the exhibit focusing solely on Native American cultures, SLCC library staff members took it upon themselves to broaden the scope to be more inclusive of Pacific Islanders. The Hōkūle‘a section of the exhibit briefly touches on these diverse groups. “Obviously, American Indians constitute a large number of tribes and communities, and we wanted to acknowledge the diversity among Pacific Islanders,” says Kate North, a specialist of digital and physical archives. 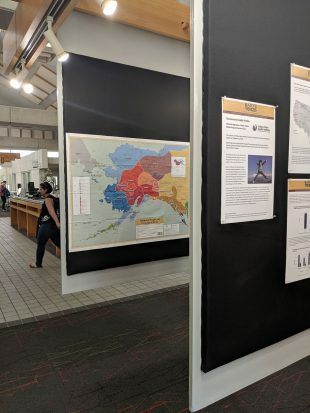 “In part, the expansion into other groups was to show the connection between scattered Islander cultures, but also to reflect the diverse population of SLCC’s student body,” says Hughes. Both Hughes and North say they look forward to seeing people’s reaction to the exhibit, especially busy college students. The 24-second clip explains further how Begay believes her community needs role models like herself. 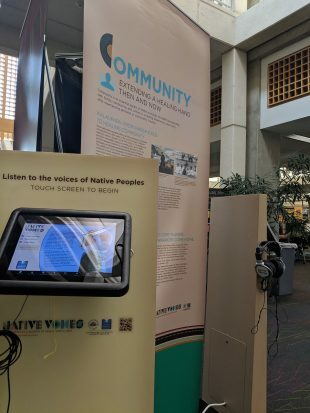 Her interview, and hundreds of others like it, can be found at the interactive “Native Voices” kiosks on the main floor of the Markosian Library. Hughes explained the process of applying for the grant, which took place in 2015. She went on to say that the support of her director and department were essential in bringing it to SLCC campuses. The grant is through the American Library Association and the National Library of Medicine, which dictates who gets the exhibit. Applying for the grant required plenty of legwork on Hughes’ part and she received backing from several groups on and off campus, including PUA, after the additional research for Pacific Islanders was started. Having “Native Voices” land at SLCC was a community effort. Groups that wrote letters of support included The Urban Indian Center of Salt Lake, the PUA, the Office of Diversity and Multicultural Affairs and the American Indian Student Leadership Group of SLCC. Individuals also helped Hughes bring the exhibit to life, including Marian McKnight, Associate Dean of History, Anthropology and Political Science at SLCC; and Dr. Chuck Foster, an American Indian specialist at the Utah State Office of Education. 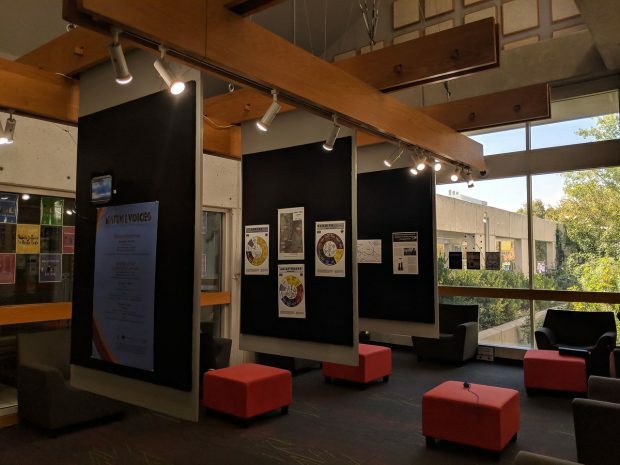 The main display for “Native Voices” can be found on the main level of the Markosian Library at Taylorsville. Auxiliary displays are spread across other campus libraries, including South City, Miller and Jordan. It is one of only two locations in Utah to host the exhibition, the other being San Juan County Library starting in November. The opening reception for the Markosian exhibit took place Sept. 25 and included a blessing by Lacee Harris, a Ute spiritualist. Movies showcasing health and illness in native communities will be shown at 12:30 p.m. and 4 p.m. Oct. 3 in room 050 at the Markosian Library. Another film, “Kau Faito’o: Traditional Healers of Tonga,” will be shown to highlight the new Pacific Islander displays.